Chris Eubank Junior, along with his ever-present father, has been very vocal in the lead-up to tomorrow’s fight that will see him attempt to take the IBO super-middleweight bauble from huge 25-1 outsider Renold Quinlan. But Eubank has been verbally attacking just about any fighter you could care to mention apart from Australia’s Quinlan. From James DeGale to Gennady Golovkin to Andre Ward, Eubank has been busy calling them all out. In fact, the former British middleweight champion said he would “wreck” Ward if he moved up yet another weight division and fought the light-heavyweight king. Far from being angered at this extremely bold claim, Ward, who is in the UK to call tomorrow’s fight for ITV (who will show Eubank-Quinlan on Pay-per-View) told Mail Online he “smiles” at such talk. 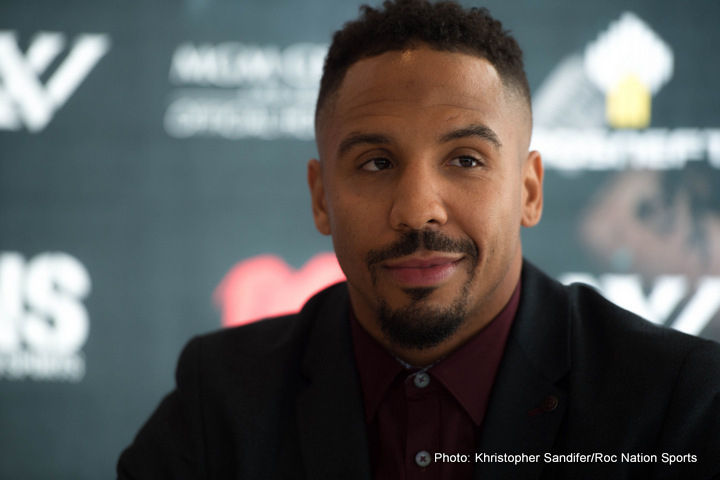 Ward adds how he doesn’t think Eubank has a “total cake-walk” with the Quinlan fight but that he gives the huge underdog only a puncher’s chance. Ward is of course correct when he says Eubank is still a novice; especially compared with the likes of himself and Golovkin. Eubank may or may not pick up a little extra experience against Quinlan, but there are many people who feel tomorrow’s fight will be one-sided, ending pretty much whenever Eubank wants it to end. The bigger question is: will this pay-per-view offering bomb or be a hit? The under-card, featuring a reasonably big heavyweight match-up between David Price and Christian Hammer, might pull in a few more fans willing to pay for the event, but ITV’s gamble is a big one. Predictions: Eubank to win by stoppage in the middle rounds. Hammer to hammer Price by mid-rounds KO; effectively ending the likeable giant’s once promising career.